Located in Downtown Vancouver, 808 Sunrise Deli is bringing back the simplicity of a quick service deli with a refreshing side of aloha. Stop in for a quick bite, a cup of joe, and a friendly atmosphere that treats you like family. We take pride in carrying on the famous Sunrise Bagel tradition that began in 1994. The focus on high quality food, fast & quick service, and a friendly family atmosphere are at the core of our family owned & operated business at 808 Sunrise Deli. 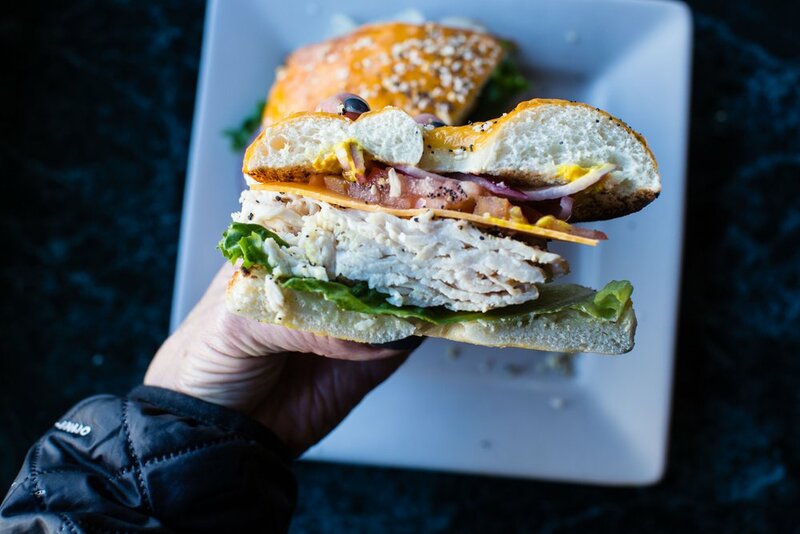 With these traditions in mind, we are so pleased to share our expanded menu that goes beyond freshly baked Sunrise Bagels, sandwiches, and soup & salad. We now also offer some of our family favorites. You'll find all the best Hawaiian food dishes like Kalua pork, spam musubi, and chicken teriyaki. We welcome you to get creative with our menu! Try a Kalua pork bagel sandwich, breakfast burrito, or breakfast bowl. 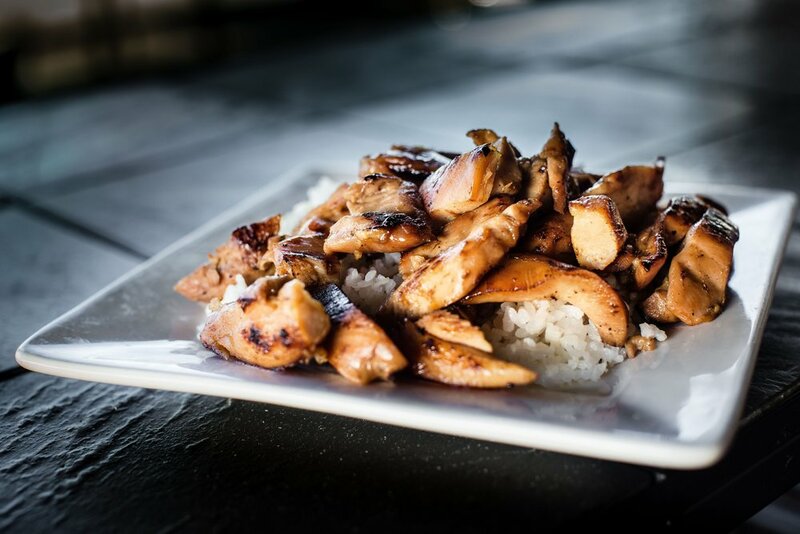 Or top your salad with our delicious chicken teriyaki. What ever you order, we'll be certain to always provide you with quick & friendly service. You're welcome to dine in our spacious dining room, lounge in our living room, enjoy our free parking, and spend some time working or relaxing using our free wi-fi. Or if you don't have time to dine-in, we're happy to take call-in orders so we can quickly get you on your way. Our convenient location in Downtown Vancouver makes 808 Sunrise Deli a great gathering place for friends, family, and special events. Our doors are open for hosting events like monthly club meetings, work events, or special occasions like birthday or retirement parties. If you'd like to reserve some space for your gathering, give us a call at (360) 750-1750 and we will reserve part of the deli just for you. Alternatively, if you'd like us to come to you - we offer affordable catering services ranging from free food delivery to full-service catered events on-site or in our deli. Please contact us today to discuss how we can help with your next event. We are all so excited with the new menu that will provide you with a quick family deli just down the block. Thank you for supporting us and we look forward to seeing soon.